Check out this recently remodeled three bedroom, 1 bath home for sale located in St. Anthony, Idaho. Estate features a nice open kitchen with an island that opens up to the living room. There is fresh neutral paint and carpet which makes this move in ready! Charming laundry/storage room has been added. There is a fenced yard with two sheds for plenty of storage. Property is located on the South side of town, with enough space for you to feel somewhat private yet have the convenience of living in town. If you like to have recreational opportunities this is perfect for you as there are multiple activities for you to partake in. Henry’s Fork, Jackson Lake, Yellowstone Lake, the Great Salt Lake, Yellowstone National Park and the Caribou-Targhee National Forest are all around you! Come see this home before it's gone! 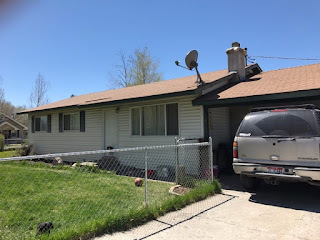 Contact Hamilton Realty for your private showing today at 208-624-4382. Priced at $119,000.